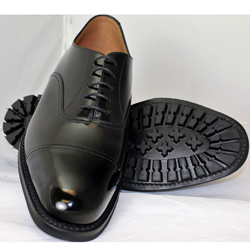 LOAKE Patent Toe with Commando Sole. F Fitting. 1/2 sizes available.